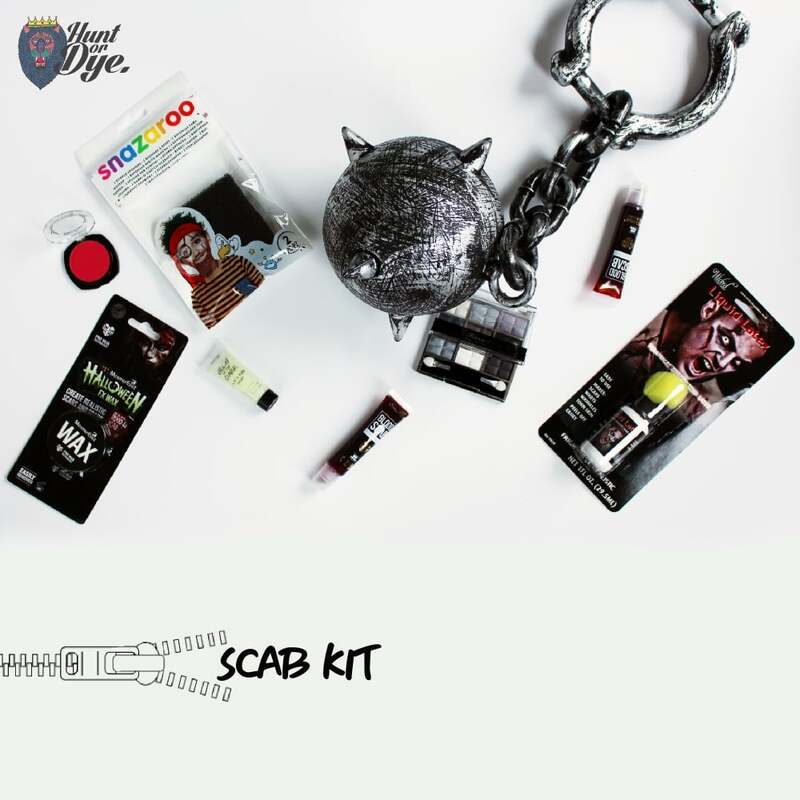 Create the ultimate scares & wounds with 'The Scar Makeup Set' that will help you create a wide range of different scars and cuts. Perfect to help make your costume complete. Liquid Latex: The liquid latex is easy to use, helps create scars,warts,wrinkles and tore skin. Gives a realistic effect to your costume. Special FX Wax: Create gruesome wounds, gashes and scars, to give your Halloween Costume more of a gruesome effect. Face & Body Paint - Glow In The Dark: Let your wounds and scars stand out in the dark, with the glow in the dark face & body paint. Red Eye Shadow: Apply on the face & eyes to make your costume look more gruesome & deadlier then ever. SPECIAL FX WAX: AVOID CONTACT WITH EYES AND LIPS. LAVAL EYE SHADOW PALETTE - GREY COLLECTION: BEFORE USING THE EYE SHADOW PALETE FOR THE FIRST TIME, COAT A SMALL AREA OF THE SKIN WITH A THIN TEST PATCH OF THE EYE SHADOW. WAIT SEVERAL MINUTES AND WASH AWAY THE TEST PATCH. IF THERE IS BURNING OR SWELLING AT THE TEST AREA. FACE & BODY PAINT - GLOW IN THE DARK: AVOID CONTACT WITH EYES AND LIPS. SMALL PARTS CHOKING HAZARD. DANGEROUS IF SWALLOWED.